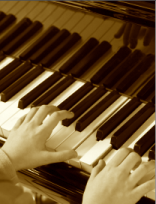 The American Prize in Piano Performance recognizes and rewards the best performances by classically trained pianists in America in 2019-20, based on submitted applications. There are separate contests for solo pianists and for piano concerto performances (The Lorin Hollander Award, which now includes an option for concerti with multiple soloists.) Categories: professional, college/universty, community, high school. Click the links below for complete information. NOW—you have the option to pay application fees online—or by credit card, money order or check. NOW—you have the option to provide online links to your audition selections—or send recordings by mail. FINALISTS and RUNNERS-UP: All finalists and runners-up receive certificates and written, unbiased evaluations from our distinguished national panel of judges. When winners are announced on The American Prize blog, RUNNERS-UP are also profiled with their photos, biographies and website links.